"The Lion King" and other favorites are in "Passport to Adventure." Ice-skating princesses, bloody ghosts, comedy, opera, barbecue and more: This weekend has it all! Check out this roundup of events through Oct. 6 to see what you can't miss. 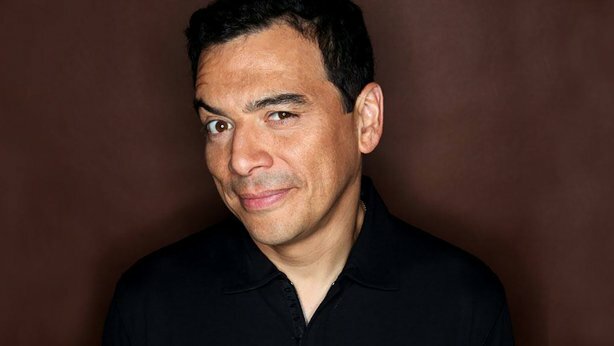 Carlos Mencia will perform Friday. 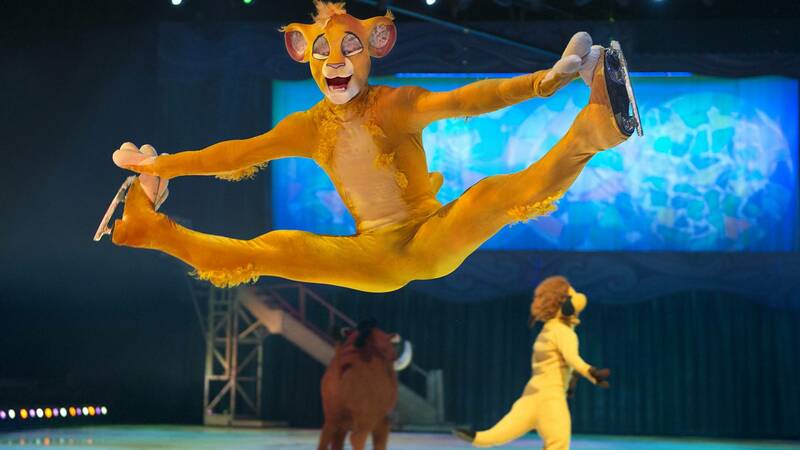 Characters from The Lion King, The Little Mermaid, Peter Pan and Frozen will be featured in Disney on Ice's Passport to Adventure, which will be performed seven times during its run — 7 p.m. Thursday; 7 p.m. Friday; 11 a.m., 3 p.m. and 7 p.m. Saturday; and 1 and 5 p.m. Sunday — in the Amarillo Civic Center Complex Coliseum, 401 S. Buchanan St. Tickets are $15 to $45, plus fees, on Sept. 29, and $20 to $45, plus fees, for all other performances. Check out my interview with the show's Elsa for more details. Comedian Carlos Mencia will headline a Latin Comedy Jam at 8 p.m. Friday in the Amarillo Civic Center Complex Auditorium, 401 S. Buchanan St. Tickets are $30 to $40, plus fees. The former host of Mind of Mencia had a candid chat with me recently, so click here to learn about how he says he has gotten past plagiarism accusations and about a sour moment during a previous visit to Amarillo. Amarillo's quartet of haunted houses open this weekend. Friday will see the season debuts of Amarillo Scaregrounds, 6th Street Massacre and Van Buren Frightmare, while Saturday will offer Chainsaw Massacre. This article has all the details on times, dates and costs. Amarillo Community Market will offer its last shopping hours for the season from 10 a.m. to 2 p.m. Saturday on the grounds of the Amarillo Chamber of Commerce, 1000 S. Polk St. More than 50 local vendors are expected. The Canyon Chamber Chow-Down Barbecue Cook-Off kicks off at 1 p.m. Saturday with a happy hour. 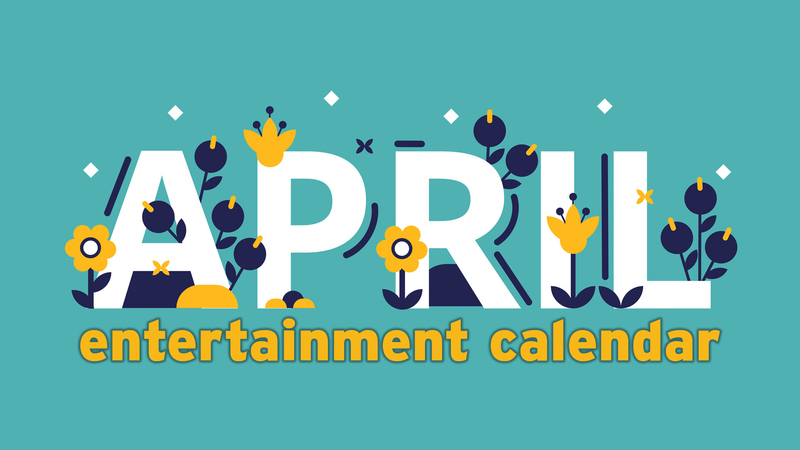 Sample foods from cook teams from 3 to 6 p.m. (or as long as supplies last) and then check out music from 4 to 10 p.m. Joshua Scott Jones, formerly of the duo Steel Magnolias, will headline with additional performances by Noah Jenda and finalists in a Battle of the Bands. The battle's winner will open the 2017 July 4 celebration. The cook-off takes place at First United Bank Center in Canyon. Tickets are $10 in advance or $15 at the gate; children 10 and younger are $5, but the chamber requests no children in strollers. Call 806-655-7815. Kicker ArenaCross riders will tear through the Amarillo National Center on the Tri-State Fairgrounds at 7 p.m. Saturday. Tickets are $17 for adults and $11 for children, plus fees. The Kwahadi Indians will stage its Indian Summer performances at 7 p.m. Saturday and Oct. 8 and 15 at the Kwahadi Museum of the American Indian, 9151 E. Interstate 40. Tickets are $5, including museum admission. Call 806-335-3175. Author Peter Zheutlin and dog rescuer Greg Mahle will speak about Zheutlin's book Rescue Road about Mahle's efforts to pick up stray dogs in the south and brings them to the northeast for adoption. They'll speak at 7 p.m. Tuesday in the Globe-News Center for the Performing Arts, 500 S. Buchanan St.; doors open at 6 p.m., and admission is free. The book is this year's Amarillo Reads selection from Amarillo Public Library. Other events include an adopt-a-thon with Panhandle Paws of Hope from 10 a.m. to 2 p.m. Oct. 8 at the Northwest Branch Library, 6100 S.W. Ninth Ave. Check here for more library events. Epilepsy Foundation's Great Epilepsy Steakout begins at 6:30 p.m. Saturday in the Amarillo Civic Center Grand Plaza. Tickets are $75. Proceeds benefit Epilepsy Foundation Texas. Deadline is Monday to attend the annual LIPS fundraiser for Opportunity School at 6 p.m. Oct. 6 in the Amarillo Civic Center Complex Heritage Ballroom, 401 S. Buchanan St. Tickets are $75, and sponsorships are available. Call 806-674-3636. Amarillo Hispanic Chamber of Commerce will host its annual Flavors of Amarillo and Mariachi Festival from 5 to 9 p.m. Oct. 6 in the Rex Baxter Building on the Amarillo Tri-State Fairgrounds. 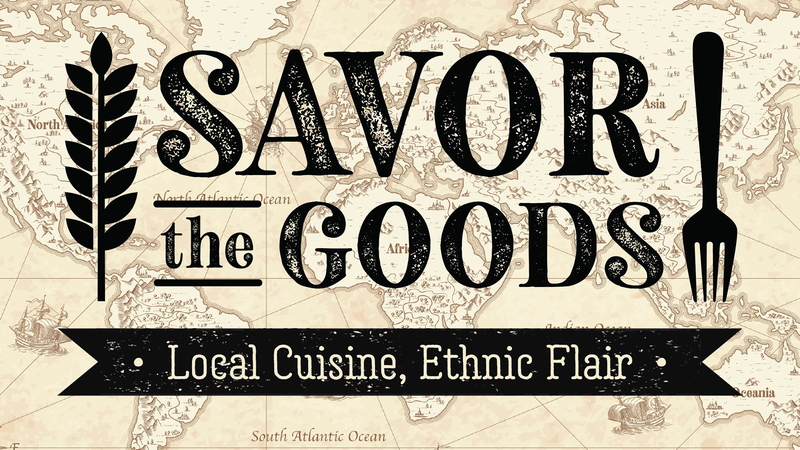 The event features food from a variety of Amarillo restaurants, live music and more. Tickets are $15 in advance and $20 at the door. Call 806-379-8800. Pastel Poet of the Texas Plains will screen at 6 p.m. Sept. 29 at AMoA, 2200 S. Van Buren St. The film, by director Marla Fields, focuses on Frank Reaugh, one of the state's earliest and most distinguished artists. Following the screening, Fields will join Michael Grauer, PPHM's associate director of curatorial affairs and curator of art and Western heritage, and Alex Gregory, AMoA curator of art, for a roundtable discussion. Grauer also will sign copies of his biography of Reaugh. Admission is $10 or free for AMoA and PPHM members, West Texas A&M University faculty and staff, and Amarillo College faculty and staff. Seating is limited, and reservations can be made here. Amarillo Opera opens its season with The Marriage of Figaro at 7:30 p.m. Saturday and 2:30 p.m. Sunday in the Globe-News Center for the Performing Arts, 500 S. Buchanan St. Tickets are $15 to $90, plus fees. "The music just soars, and it's really Mozart's best piece," David O'Dell, the opera company's general director, said in my preview story. "This cast is wonderful. We're really fortunate to have them." A young Parisian singer searches for her father in the borough that gave her her name in a contemporary musical also bearing that name — Brooklyn, opening Thursday at West Texas A&M University. "There's a lot of truth in this fairy tale," said director Andrew Barratt Lewis in my preview of the show. 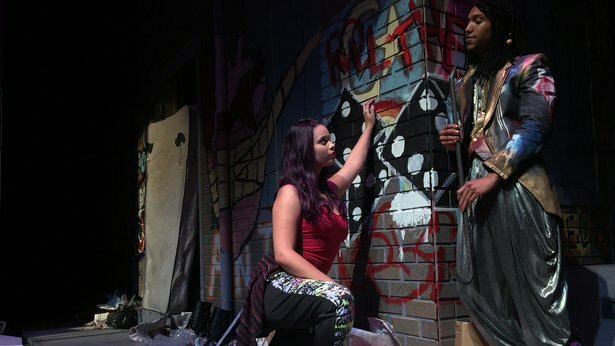 Performances are set for 7:30 p.m. Thursday through Saturday and Oct. 6 to 8, plus 2:30 pm. Saturday, Sunday and Oct. 9. Tickets are $16 for adults, $12 for seniors and students, and free for WT students, faculty and staff. Call 806-651-2804. Glassblowers Jason Christian and Jay Thrash, who work in Seattle with Dale Chihuly, will offer public demonstrations of their art at the annual Night Blow event at 6:30 p.m. Saturday at the West Texas A&M University glass studio, outside Mary Moody Northen Recital Hall on the Canyon campus. Night Blow also will feature performances by WT dancers and music coordinated by Darrell Bledsoe, a WT faculty member. Other artists, including ceramicist Chloe Rizzo of Amarillo College, also will demonstrate and sell work. Also on view is an exhibition by glass artist Patrick Martin in the Mary Moody Northen Gallery. (A Friday-night event is an invitation-only party for supporters of The Arts at WTAMU, while Saturday's is free and open to the public.) For more, check my preview article. The Jazztober concert series, featuring four of Amarillo's top jazz combos, will return Tuesday, kicking off with Patrick Swindell & Pizzazz. The free series runs from 6 to 7:30 p.m. Tuesdays in October on the grounds of the Amarillo Chamber of Commerce, 1000 S. Polk St. Call 806-372-6744 or visit www.centercity.org or www.visitamarillo.com.